Having traditional background, a lot of good taste and being very friendly to the environment, the Manolopoulou family has built in the last years a hotel that operates not only in summer but also in winter called "Thassos Inn Hotel". 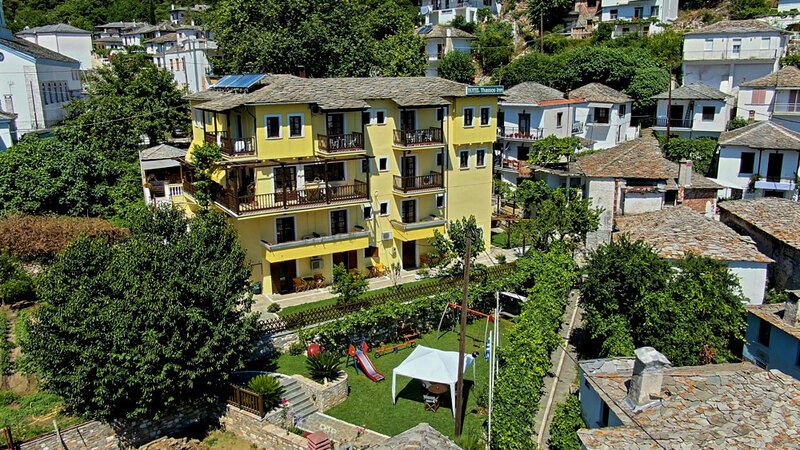 Our hotel is located in the center of the Panagia village where we created for you a warm and welcoming retreat for the summer months, but also during winter. 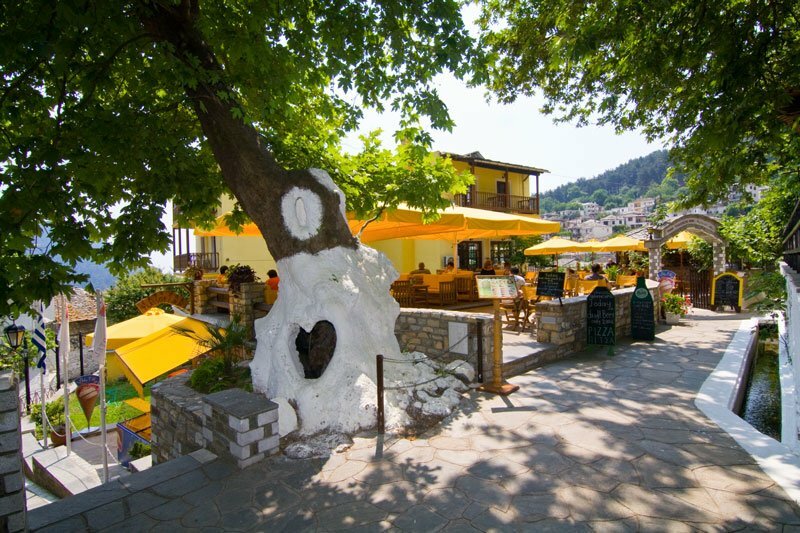 A rich construction with materials made of wood and traditional stone form our area for those who are looking for something traditional, our hotel in Panagia is the ideal solution to an area with plane trees and crystal-like springs. From our hotel, the island capital is almost 6 km away. You can visit the Golden Beach which is at 3 km from the hotel, and 5 minutes driving. 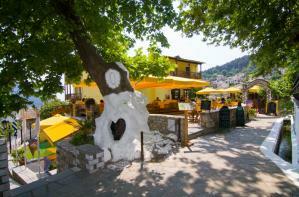 The hotel is located 20 meters away from the ”spring of lovers”. Tradition says that if someone throws a coin in the spring and makes a wish it will come true; this is the reason why the place attracts many couples in love. Our hotel has a dining room and a cafe bar. The location of the “Thassos Inn” hotel is suitable for walking. Nearby the hotel there are walking routes. The "path of pirates” is located next to the hotel. Because the pirates were sailing around and menacing the Aegean sea, the villages and monasteries of Thassos were moved in the center of the island to safer mountain sites, where they weren’t visible from the sea. The path was leading to an opening from where the villagers could observe if the pirate ships were at sea. Within a radius of 100-300 meters you will find supermarkets, restaurants and taverns, and more. For those who want to party, there are Pubs, bars, clubs and nightclubs to spend Greek nights, all these placed so as not to disturb the other tourist. A different proposal in one of the prettiest villages of Thassos, quality of hospitality, family atmosphere, 24 hour service, trips, activities and affordable prices. 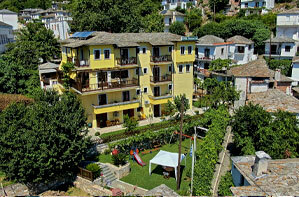 These are some of the many features and facilities of the "Thassos Inn" hotel . We are waiting for you and we promise you an excellent and unforgettable stay!